The Mont Harmon boys’ team took first at the meet with 173 points. Photo by Jenny Justice Gagon. 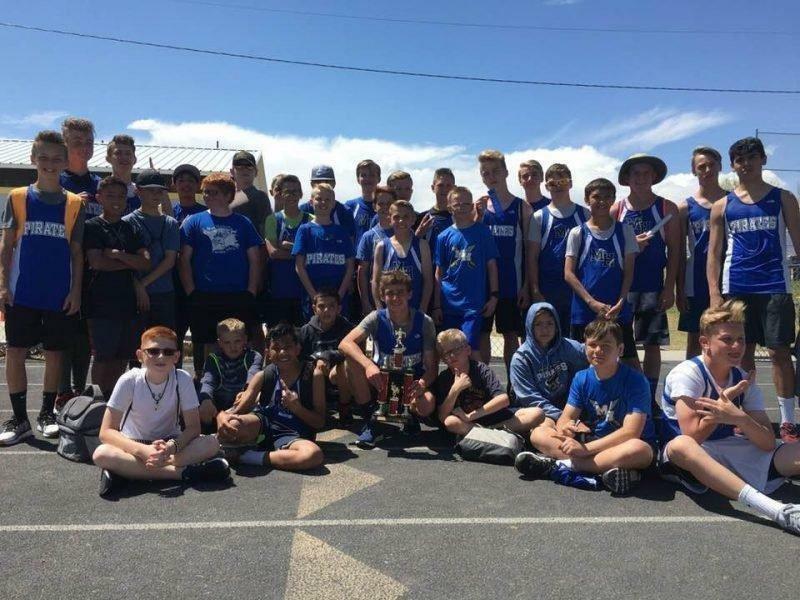 Five area middle schools participated in the biggest track meet of the year on Friday at Emery High School. Mont Harmon, Helper, Canyon View, San Rafael and Pinnacle middle schools took to the Spartan track for area bragging rights. Canyon View was the host of the event. On the boys’ side, Mont Harmon took the overall top spot with 173 points. San Rafael was next with 130, then Canyon View with 63 and Helper tallied 55. Canyon View finished on top in the girls’ competition with 189 points. Mont Harmon was next with 152. Helper, 59, San Rafael, 27, and Pinnacle, 2, were next in line. In the most hotly contested events, Mont Harmon’s Keaton Rich took home first overall in the boys’ 100-meter dash with a time of 12.35. Jace Curtis, from San Rafael, was next with a 12.66 state line. On the girls’ side, Mont Harmon teammates Lyndee Mower and Eminie Elliot finished in the top two spots in the 100 meters.